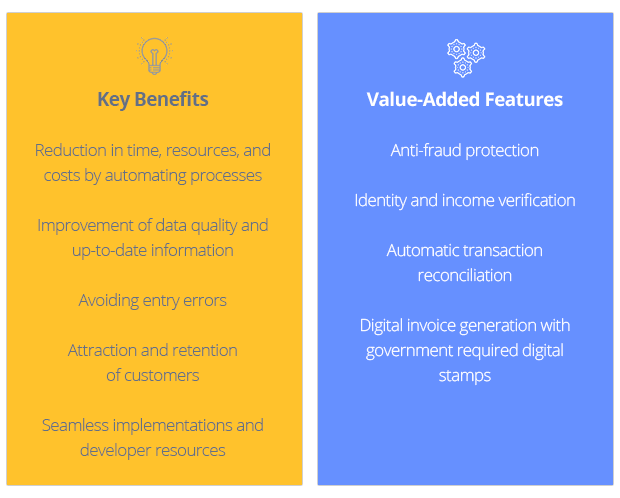 From developers to businesses, CPAs to individuals, governments to non-profits, Paybook provides a comprehensive suite of solutions centered around fostering transparency and trust, simplifying financial processes, and making manual data entry and paper waste a thing of the past. After launching in Mexico, the Paybook team is now expanding further into Latin America and the U.S., serving the massive untapped FinTech market as the first step toward providing transparent, easy money-management across currencies and borders worldwide in the days ahead. Integrating SaaS solutions with banks and other financial institutions from both LATAM and the U.S. is a key challenge for FinTech (financial technology) developers. As a result, individuals and companies are forced to manually consolidate their finances -- which is costly in time and errors, and decisions are often made on outdated data. With Sync, we’ve created a solution that transforms raw financial data from institutions like banks, digital wallets and exchanges, the SAT (think Mexico’s IRS), and utility service providers into an organized, easy-to-use format. FinTech companies benefit by being able to offer account connectivity to their customers. Developers get all the tools they need to build third party applications that easily integrate with financial services for a continuous flow of end-user data and without any manual data entry required. Businesses benefit by being able to integrate feeds directly into their existing ERP, accounting, or other related software solutions to effectively eliminate manual data entry. 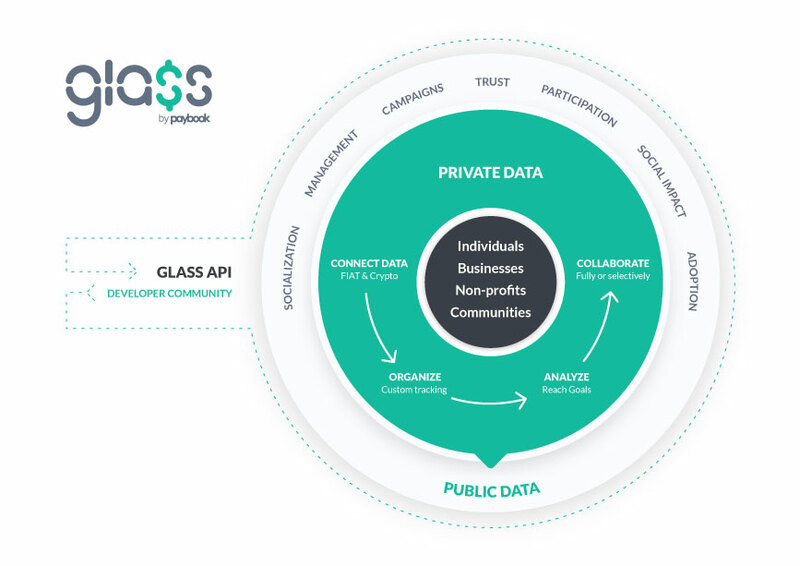 We designed Glass with one simple, yet powerful goal in mind: to improve how individuals, companies, and organizations track, manage, and share their personal, social, and business finances in near real-time, with minimal effort -- all within a single user-friendly interface. 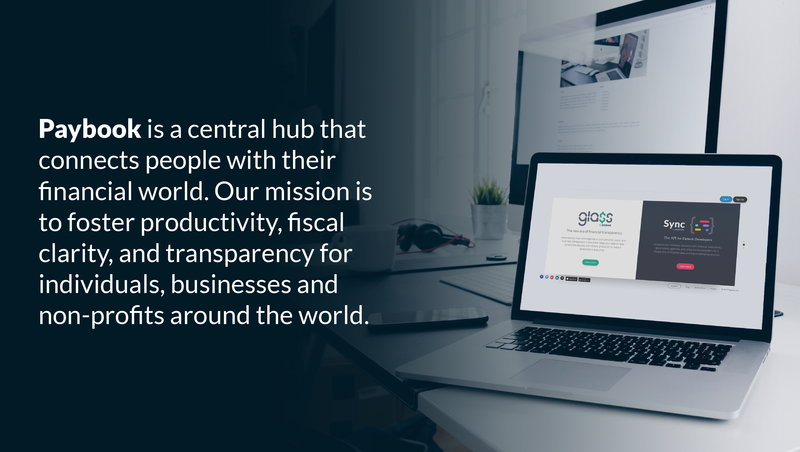 As the first social financial network in the world, Glass gives people, public figures, businesses, non-profits and governments the ability to be truly transparent with their finances to build trust amongst donors and supporters. 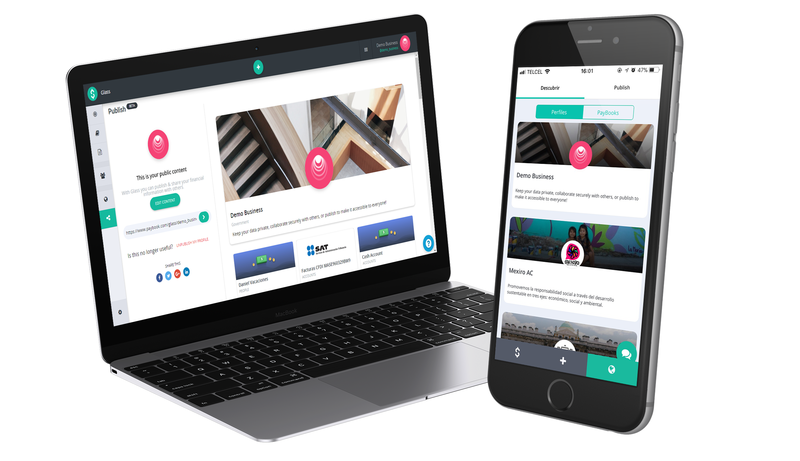 The Glass app is focused on automation and customization so users can save time, make smarter decisions, and have the freedom to focus on what matters most. Glass imports fiat and cryptocurrency data each day directly from users’ financial accounts and digital wallets and exchanges, eliminating the need to manually log transactions. All financial activity is kept up to date in one place so users can stay on budget and make informed decisions when they matter most. 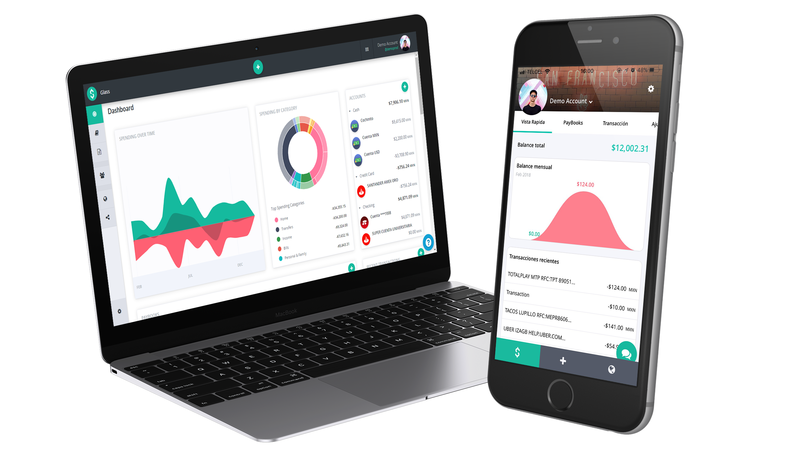 Charts and dashboards make it easy to keep tabs on earnings vs. spending, see transactions from all accounts in one spot, drill into the details or add receipts and attachments, and more, helping users reach their goals faster! Users can share financial data for internal transparency and up-to-date collaboration. 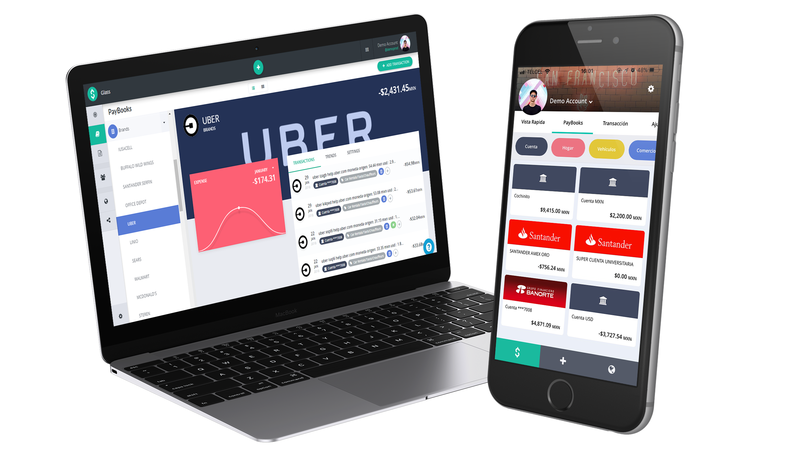 Whether it’s a few friends privately sharing expenses or large businesses managing and allocating department-wide budgets, Glass facilitates financial organization and collaboration. Strengthening trust is possible with Glass. Governments and nonprofits can publish their entire financial profile or specific groups of transactions to gain support for their cause or facilitate collective decision-making with transparent finances. Glass uses industry standard AES 256-bit encryption -- the same that banks and governments use -- and our servers are housed in secure facilities around the world and are monitored 24/7. The Paybook team has already made some pretty incredible progress toward our goal of building the ultimate collaborative financial management tool for individuals, groups, businesses, and organizations everywhere. The hard part is complete. Sync is launched and live in the market and connected to over 23 institutions across Mexico, 4 in Argentina, 1 in Chile and 3 digital currency exchanges. We’ve launched Glass but still need to ramp up promotion. Some features are still in development, but personal and business users can connect to their institutions to pull in data to track and manage expenses. We’ve got a product people want. Glass made it to the final round of the Citi Tech for Integrity Challenge, where we won the Audience Choice Award. We’re developing strategic relationships. We’re actively seeking partnership opportunities with larger companies to give us market validation and a substantial revenue stream. We’re currently testing with a few software giants and hope to onboard them in the following months. We’re trademarking our brand. 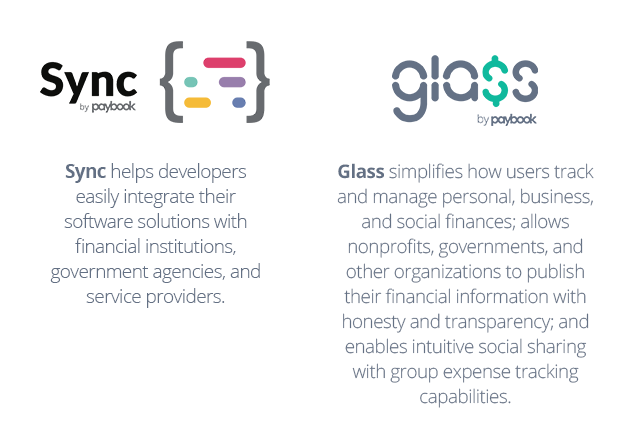 We’ve registered the Paybook logo and wordmark in the US, Mexico, and EU, have the Sync trademark in the US and "Sync by Paybook" in Mexico as well as have applied for Glass trademarks in the US. We have another 6 new applications pending. We’re seeking patents. We have a patent for our “Thematic Repositories for Transaction Management” in the US and a Notice of Allowance in Mexico as well as pending applications in Brazil, Chile, Canada, the EU, and Hong Kong. We also filed a continuation in part to cover the sharing and/or publishing elements of the platform. Want to learn more about Paybook and what they have planned for the future? Make sure to request access to the Business Plan tab of the profile to find out how you can get involved!